Welcome to my new blog feature, DIY IRL (“Do It Yourself, In Real Life” for you newbs out there). It occurs to me that every wedding blog features DIY-this and DIY-that. If you go on Pinterest, you can get step by step instructions on how to make coffee filter flowers. 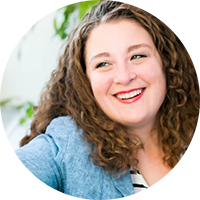 But nobody really covers the financial, logistical, and sometimes emotional toll “DIY”ing can really take on your wedding plans. Now, I L. O. V. E. done-yourself details at a wedding, but I also coach my clients on how to get their craft on without getting in over their heads. How: The bride’s parents had forsythia bushes for days, so we decided it would be a cost saving measure to use their forsythia rather than purchasing similarly sized arrangements from the florist. We were already purchasing bouquets, boutonnieres, and reception centerpieces from (my faves) Falls Flowers, so Peicha generously offered to throw in the 8 glass cylinder vases for free. Her parents had to harvest the branches weeks ahead of the wedding and keep them in water inside the house in order to force the branches to blossom ahead of their regular schedule (the wedding was in mid-March). They also had to transport a cubic yard of forsythia branches on the morning of their daughter’s wedding. Once at the church, I took over and placed the branches (which were dropping petals everywhere that had to be cleaned up) in the vases. And of course, the following day I had to head back to the church to collect/bag the branches and deliver the vases back to the florist. Final “Cost”: $0 (except for negligible cost for gas and parking and those sorts of things); however many hours it took E’s parents to harvest/prep/transport the branches, about 3+ hours of my time. 1) Get help. Some flowers really CAN’T be arranged until the day-of or day-before a wedding and you will probably be busy with, oh, other things. Find a couple friends who are willing and able (and ideally have reliable transportation). 2) Containers cost money, too. Some can be rented from florists or rental companies – if you don’t intend to use them ever again, rental still might be less expensive than purchasing. Or buy second hand or borrow. The recently married are often sitting on a basement full of milk glass vases that they want to offload and would probably do it for a steal. 3) Choose carefully. Some varieties of flowers (I’m looking at you, hydrangea) are very heat and hydration sensitive and will wilt almost immediately unless kept cool and watered. Choose hardier varieties so you increase your chance of success. 4) Call a pro. No, seriously – especially with flowers, do yourself a favor and at least get a quote from a florist before committing to D’ingIY. Depending on what you want, there might not be that big a cost difference between hiring them and doing it yourself. 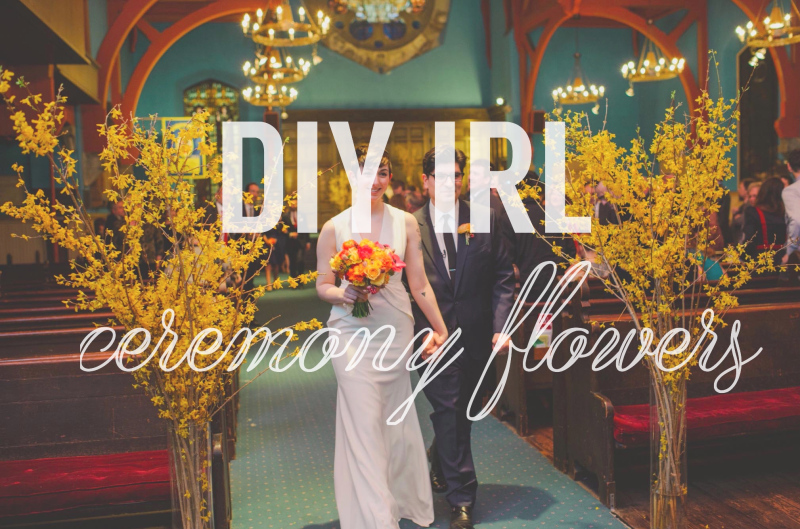 Did you DIY your wedding flowers? Any pointers from your own experiences to share?